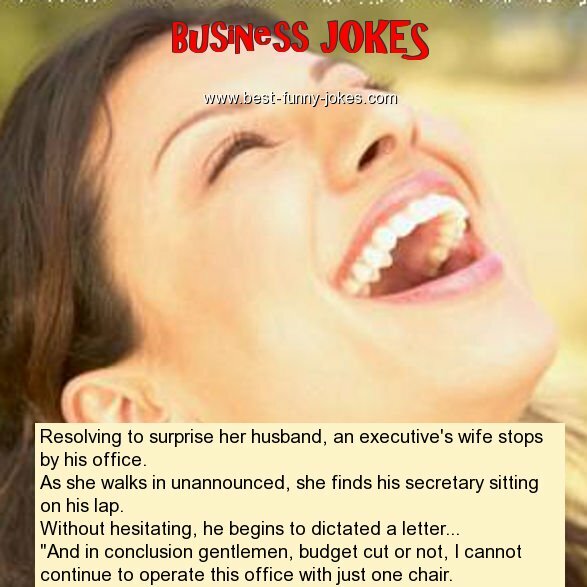 Resolving to surprise her husband, an executive's wife stops by his office. As she walks in unannounced, she finds his secretary sitting on his lap. "And in conclusion gentlemen, budget cut or not, I cannot continue to operate this office with just one chair.